Each capsule is 1 metre x 1 metre x 2 metres. Facilities include communal restrooms, a steam sauna and bathing facilities (shared showers and bath–please see pictures on the hotel website) with several varieties of brand shampoos, face wash, etc. provided free of charge. There is also a communal lounge area with free Wi-fi internet, drinks and an extensive library. If you’re interested in staying here, please fill out the reservation form below. **The WYYC2015 special rate can only be applied during the contest dates (August 12th through 16th). 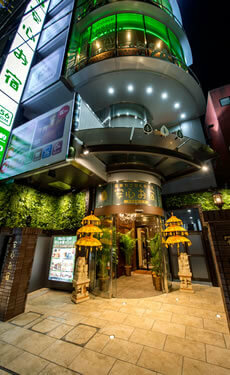 Guests staying on the nights before and after the contest will need to pay the standard rate (5480 yen) on those nights. Please pay at the hotel reception desk on the day of your stay. – We’re sorry but this hotel is for the use of men only. – People under 18 years of age are not allowed, even if accompanied by a parent. – People with tattoos are not allowed. For more specific details about the hotel, please see their official website. There is a limited number of rooms during the contest period, so if you are interested, we suggest you submit the reservation form as soon as possible. The WORLD YO-YO CONTEST 2015 also has two official hotels in the Akihabara (contest) area.